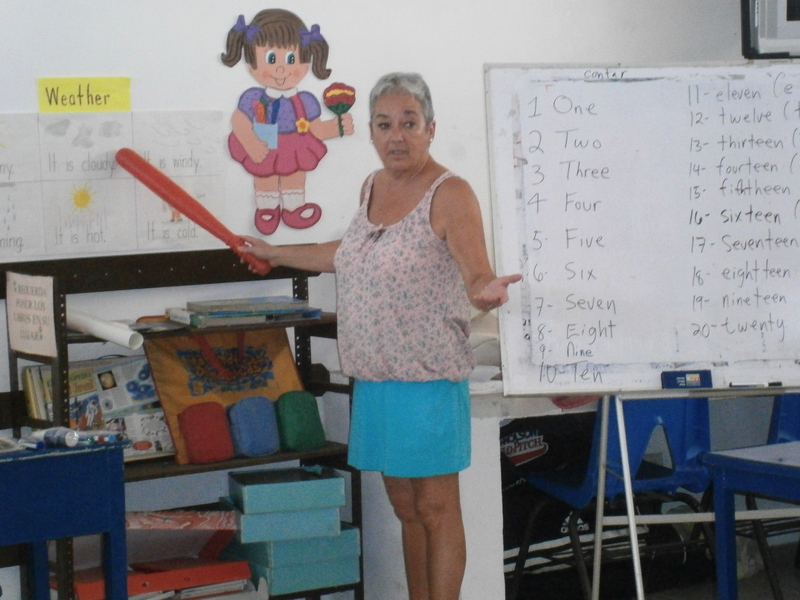 Susan, the co-ordinator for the english classes offered to the students at the local elementary school and her dedicated group of volunteers have done an amazing job once again this year. 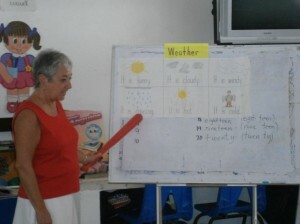 Each year just keeps getting better and the children are more comfortable trying out their new language skills. It is not unusual to hear children and parents alike saying “hello, good morning and how are you” as you walk through the town. 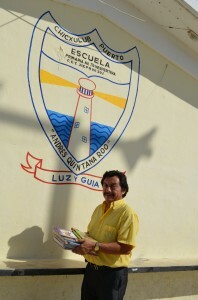 This winter, at Andres Quintana Roo we had another successful teaching experience. 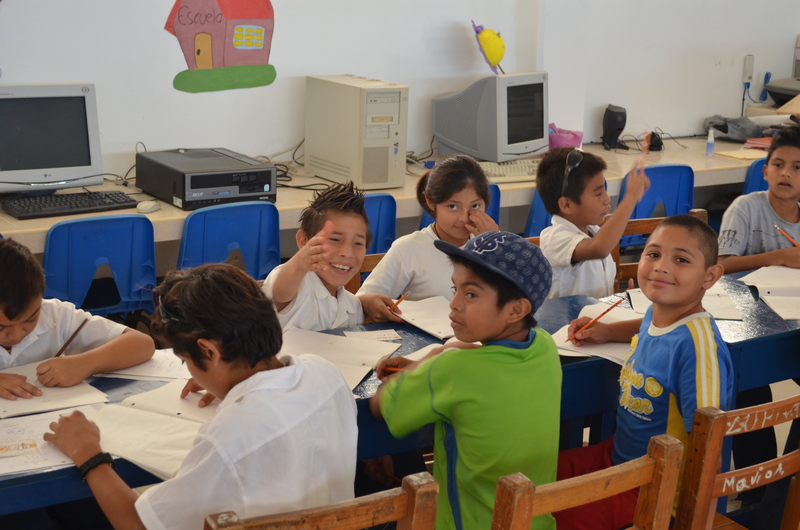 We were fortunate to have enough teachers and supporters to have 3 grades of English classes: grades 6,5,and 4. 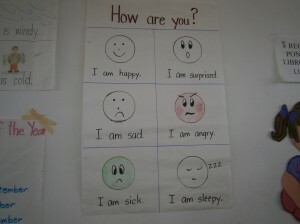 Our aim was to have fun and teach the students some basic English phrases to carry on a conversation. One highlight for the grade 6 students was to put together several kites (letter k) and take turns flying them outside. Students later put their names in a hat and 5 names were drawn. These student took the kites home. There were many fun activities that all the students enjoyed. At the end of our time here the students received a picture of themselves and a class picture to remind them of their class in English. Students have been encouraged to practice their English until we return. Thank you to Marge for bringing down 3 white board for our classes and flip chart paper. What wonderful,useful gifts. I never thought I would get excited over rulers or chart paper,but, I did. Thank you to all the people who have contributed school supplies for our classes,it makes teaching a little easier. A big thank you to all the teachers, Pierette, Mary, Pat, Sue, John, Karen, James, Jean, Annie, Pauline, Berri, Debbie, Connie, and Lis and support people, to Sharon who got the English going, and to Josafat for giving us the opportunity to work in his school. 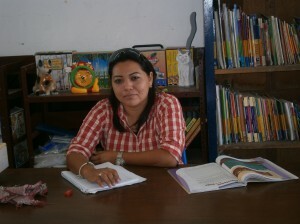 I recently came across your website, and was wondering if you have any teaching positions available? I am currently here in Mexico, doing some private classes. Yet I am looking for a more fulfilling role in teaching.